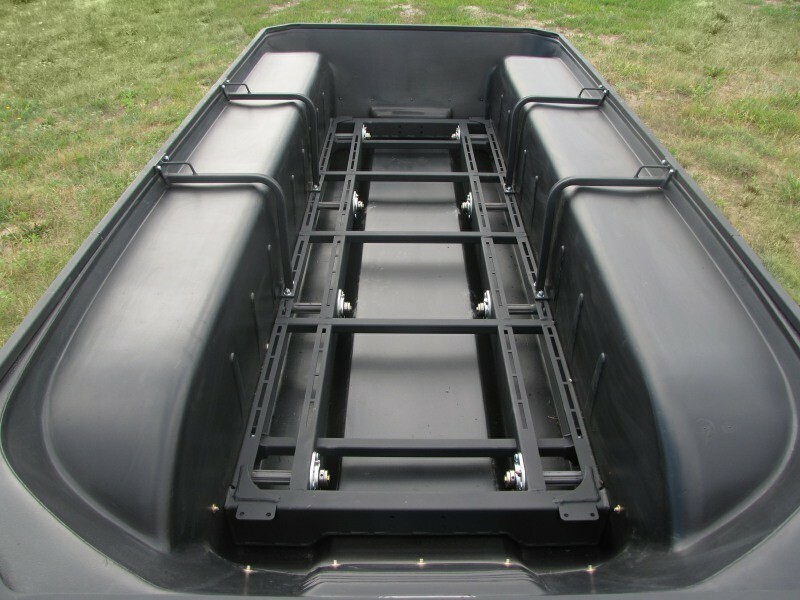 Does your job or expedition have you needing more room for cargo than what can fit in the back of your Argo? 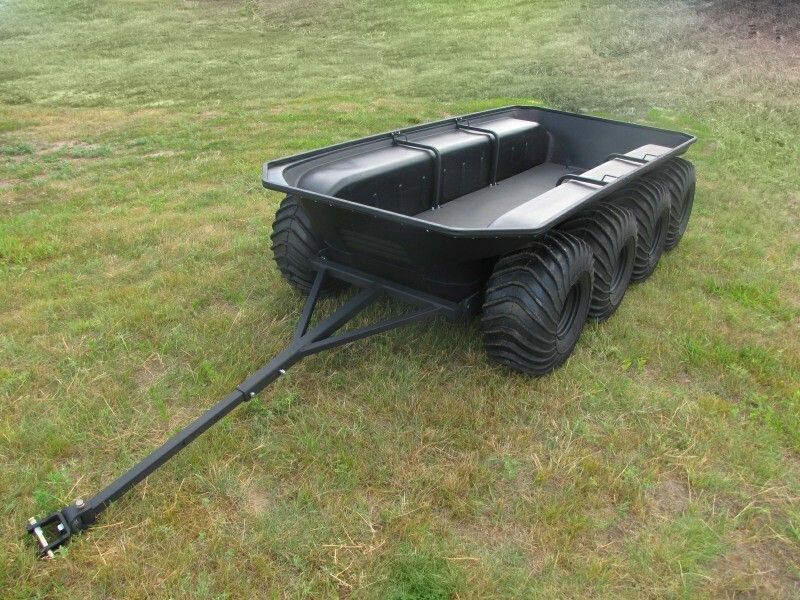 Adding this amphibious 8 wheel trailer to your fleet offers an additional 1300lbs of capacity. 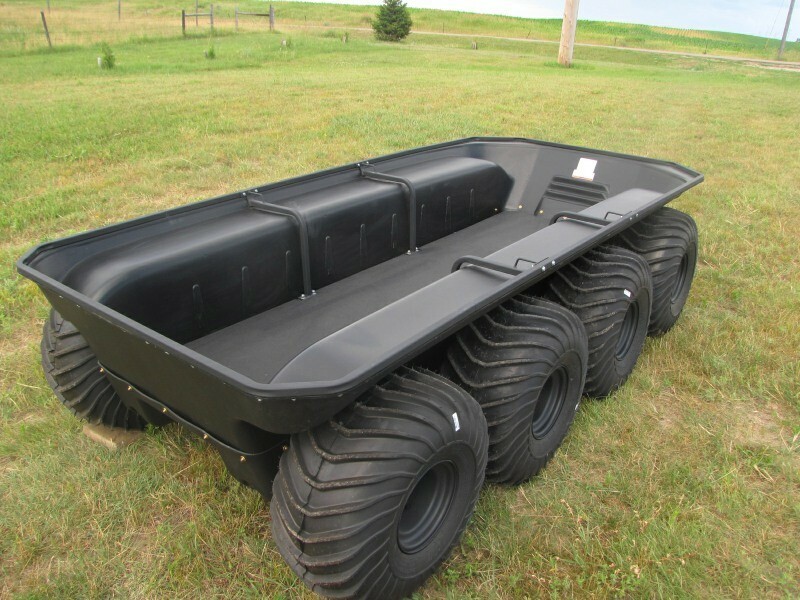 It uses the same 1.25" HD bearings and axles attached to Argo 25x12-9 tires. 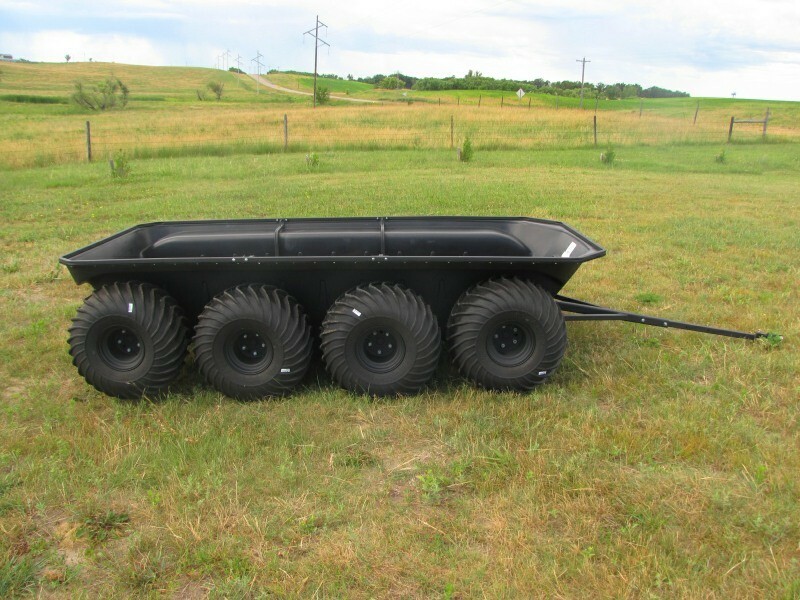 This trailer ships assembled and can only ship via commercial freight truck. Delivery address must allow commercial freight deliveries and you will need a forklift with long forks to unload from the semi-trailer. 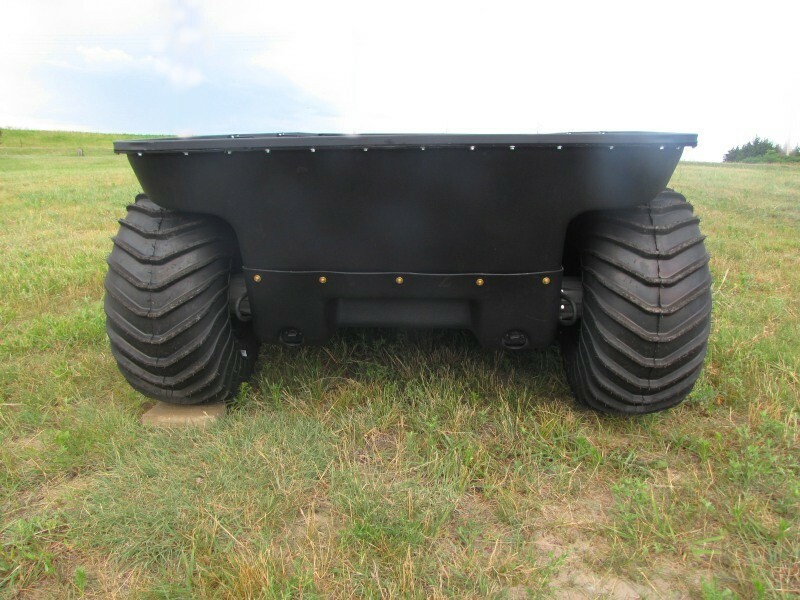 Contact us with any questions or special freight quotes for shipment with lift gate options.